Apple is seeking a Privacy Counsel with extensive experience in healthcare privacy and a thorough understanding of HIPAA regulations. The new position confirms that Apple is planning on developing its products to be more valuable to healthcare professionals and patients, and that the company is intent on making more of a mark in the healthcare sector. The new recruit will be required to work on cutting edge projects, providing essential input on privacy and security, working on privacy by design reviews, supporting compliance and auditing frameworks, drafting policies and procedures to ensure compliance with privacy laws, and assisting with privacy complaints and breaches. The individual will also play a major part in designing privacy solutions for Apple products. The new position could indicate Apple is intent on developing HIPAA-compliant apps or may be working on a HIPAA-compliant backend for its frameworks to enable patient data to be stored and transmitted securely, in accordance with HIPAA Rules. 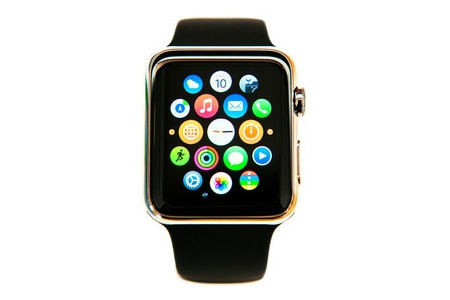 The launch of the Apple Watch was preceded by the release of HealthKit and ResearchKit in 2014, the latter being a software framework that can be used by medical researchers to gather data on patients via iPhone apps linked to third party medical sensors. The framework has already been used for a number of research studies on medical conditions such as asthma, cardiovascular disease, breast cancer, and diabetes. Apple has since released CareKit – an open source framework to help app developers create healthcare apps that allow patients to take a more active role in their healthcare by monitoring and managing their medical conditions using Apple devices and third party health apps. At present, Apple is not classed as a business associate and is not required to comply with HIPAA rules and its products so far have escaped FDA regulation. Apple previously pulled a number of functions that were to be included in the Apple Watch due to regulatory issues; however, by hiring a highly experienced lawyer in the field of healthcare privacy this could signal that the company may well start to develop products and frameworks that comply with HIPAA rules, rather it leave that to third party developers.